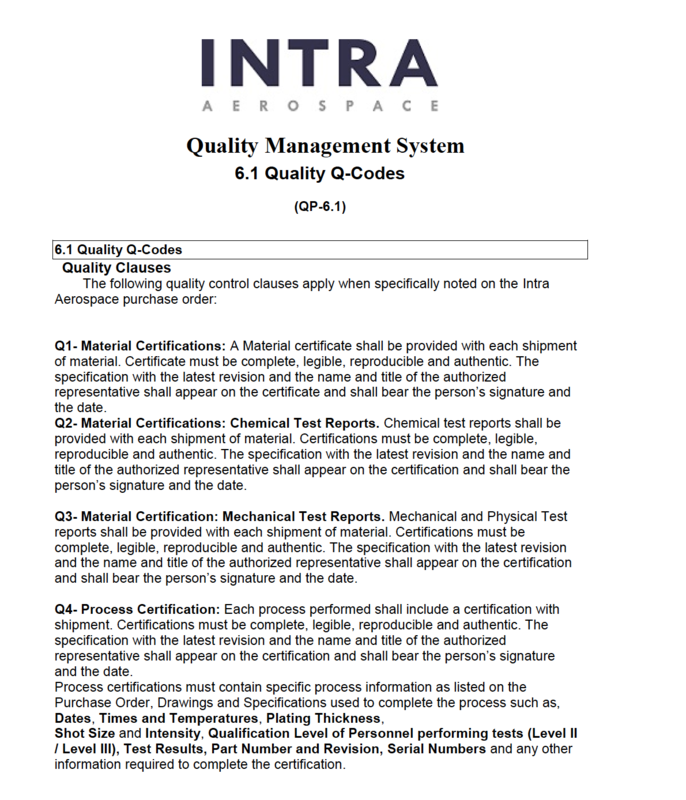 Our Supplier Quality Assurance Requirements – QP 6.1 document is intended for subcontractors who perform work for, or provide items or services to, Intra Aerospace. This document provides Purchase Order terms and conditions and Quality Clauses. CLICK HERE to download a copy of our Supplier Quality Assurance Requirements – Procedure (QP 6.1) form in .pdf format.